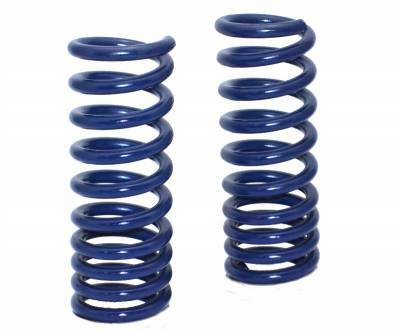 Front dual rate coil springs for 70-81 GM "F" Body, Big Block Block. Sold as pair. Lowering coil springs for 1970-1981 Camaros improve handling, ride quality and stance. StreetGRIP coil springs are CNC cold-wound from high tensile premium steel by then powder-coated for long-lasting, consistent operation. They feature a dual rate design which gives your Camaro the best of both worlds. The "soft" spring section helps your car to transition over small road irregularities with emphsis on comfort. 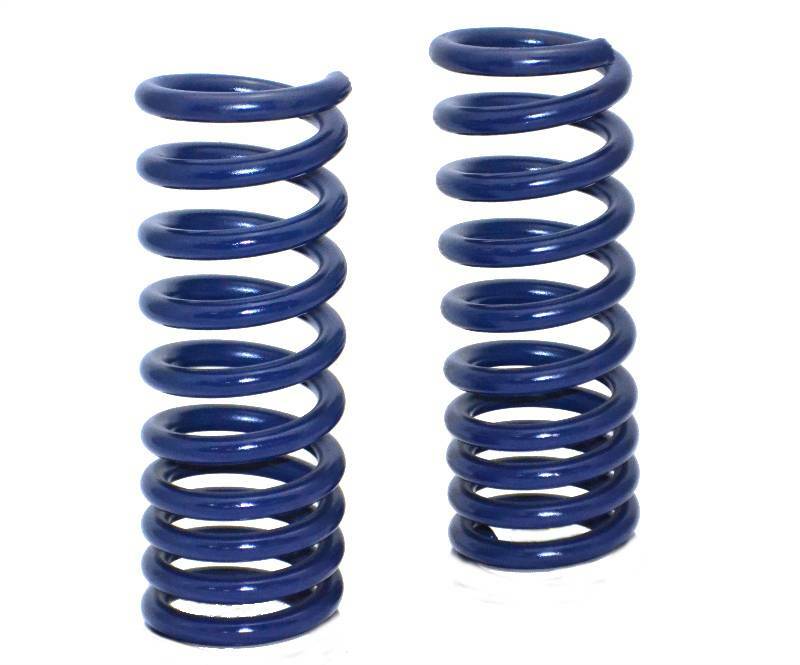 As the spring further compresses, such as when encountering large bumps and high cornering loads, the design transition to the firmer aka "stiff" spring rate. Using our exclusive test track, RideTech works in conjunction with Hyperco, our technology partner, to develop custom dual rate springs to ensure the best possible handling and ride quality for your Camaro.